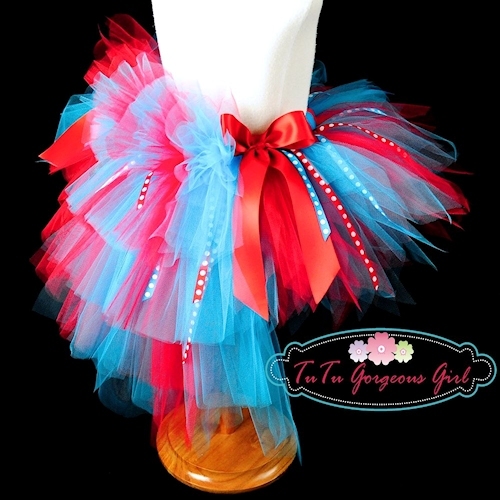 Red and turquoise Seuss bustle tutu with polka dot ribbons. 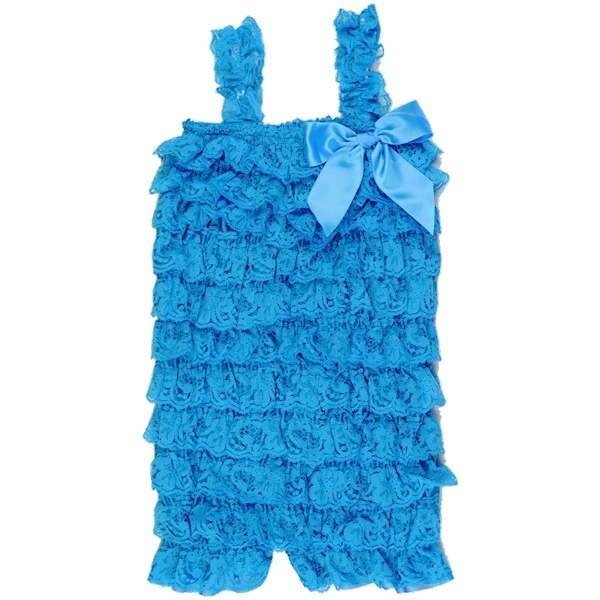 This bustle tutu is perfect for a Dr. Seuss themed birthday party or Halloween costume. 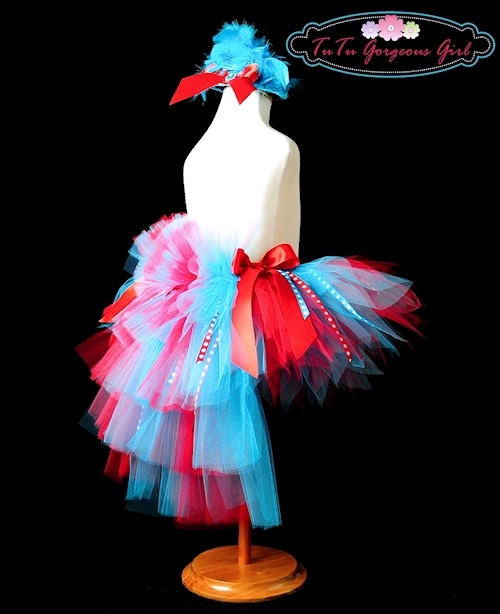 The bustle tutu is made with red and turquoise tulle and sewn throughout the top layers of tulle are red and turquoise polka dot ribbons.